Shadow of the Drill by Rhani D’Chae is the explosive debut of The Drill series staring Decker, aka The Drill, his best friend Rudy, his almost girlfriend Char, and the end of fifteen years of hunting. Decker has spent the last decade and a half becoming The Drill, the number one enforcer on the streets. If you want it done and can pay the right price, Deck can do it. But he’s got his own goals too, the biggest of which is to put the three men who, one night fifteen years ago, set him on the path to The Drill. With him every step of the way is his best friend Rudy, and the camaraderie could not be tighter. The kind of relationship that Rudy and Decker have is friendship at its finest. The brotherhood that binds these two men oozes from the page. The action is movie-worthy. The emotion is heart stopping and fear inducing. The bad guys are that understandable kind of despicable. The hero is a man’s man, the kind of bad boy we dream of finding. The writing is tight and almost fades into the background of the story you’re going to love. Go get Shadow of the Drill. Do it now. You won’t regret it. 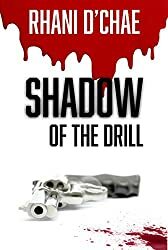 Pretty please head over and get a copy of Shadow of the Drill on Amazon. Then, check out Rhani D’Chae’s website and visit her at the Rave Reviews Book Club page.